Genghis Khan is famous for building the biggest empire in history up to that time. His territory included much of what is now modern China. He and his armies killed, reformed, and destroyed on an amazing scale. He&apos;s famous as the world&apos;s greatest conqueror. 1) Genghis Khan started from humble beginnings. Genghis Khan was born in 1162 in Mongolia. His original name was Temujin that means &apos;blacksmith&apos;. His people lived in the grasslands, and were illiterate. They were herdsmen, hunter gatherers, and expert horsemen. Though his father was head of his tribe, he was initially rejected even as a tribal leader. 2) Genghis Khan may have been a Caucasian. There is evidence in historical records that he and his children were Caucasians. An ancient historian named Rashid Al-din recorded that Genghis had red hair and green eyes. 3) Genghis Khan did well to survive his youth. There was a lot of fighting between tribes and clans. Boys had to learn early how to fight and kill to survive. When he was 9 years old, his father was poisoned. When he was 10, he killed his half brother. He was captured about the age of 20 and escaped. 4) Genghis Khan became the Khan (leader) when he was 46. 5) Genghis Khan conquered much of northern China and started the Yuan Dynasty. 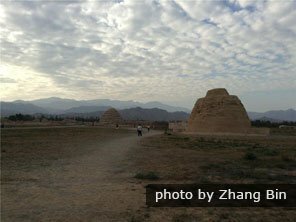 The Mongols eradicated the Western Xia culture, and the Mausoleum of the Western Xia Dynasty contains some of the few ruins that remain. The Western Xia and Jin empires occupied much of the area north of the Yangtze River, and over the 19-year period of his rule as the Khan (1208–1227), he initiated campaigns that almost totally eradicated the Western Xia. With only 50,000 troops, they attacked the Jin who had 500,000 troops and occupied most of the Jin Empire. He began the huge Yuan Empire that was ruled by his children and grandchildren. Genghis Khan died while fighting the last Western Xia troops. 6) Genghis Khan&apos;s empire was the biggest in world history up to that time. By the time he died in 1227, he controlled 13,500,000 km² (5,210,000 sq mi) or almost 1/3 of Asia. His empire stretched from Pacific Ocean to the Caspian Sea. His personal empire was more than 2 times bigger than the approximately 6,000,000 km² Greek Empire of Alexander the Great. 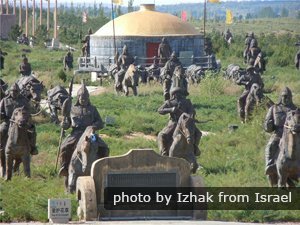 7) Genghis Khan is responsible for killing about 20 to 40 million people. Our Yuan Dynasty map: Due to the Khan&apos;s conquest China had its largest territory in its history in Yuan Dynasty. Figures vary, but about 20 to 40 million people or from 5 to 10 percent of the world population were killed or died because of his attacks. Famine and disease killed a large portion of the people. He eradicated many cities and countries that opposed him. 8) Genghis Khan is the ancestor of at least 0.5% of the world&apos;s population. He had a large harem of the most beautiful women he could capture or acquire in other ways of about 2,000 to 3,000 women. His sons and grandsons followed suit. His grandson, the Yuan Emperor Kublai Khan, had a harem of 7,000. Scientists in the Russian Academy of Sciences estimates he has 16 million male descendants living today in Central Asia. 9) Genghis Khan was lenient with his subjects. One of the methods he used to build up his army and acquire territory was by being lenient with enemies and cities and countries who submitted to him. Many times, he treated the people of other countries better than their previous own rulers had done. Many of his generals were former enemies. 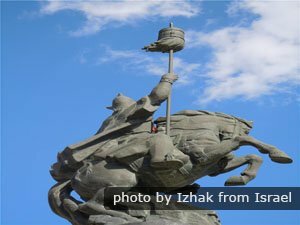 10) Genghis Khan&apos;s grave remains unknown. In 1227, he was buried secretly in a grave in northern Mongolia so that his grave wouldn&apos;t be disturbed. There are many stories and legends about his death including that everyone who attended his funeral were killed, a river was diverted to cover his grave, and that trees were planted to hide his grave. 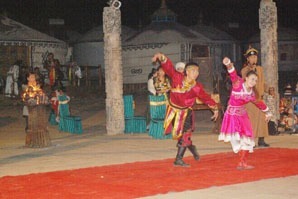 Many descendants of Genghis Khan&apos;s people still live in yurts in the grasslands of Inner Mongolia and Mongolia. A favorite tourist activity is to visit the plains, stay overnight in their yurts, and sightsee, walk and ride horses. 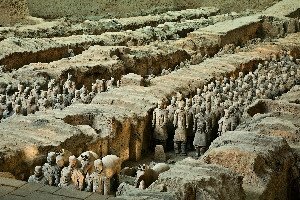 We could for example extend our popular 3-Day Beijing Itinerary to go to Baotou, Ordos, or other Mongolian areas. 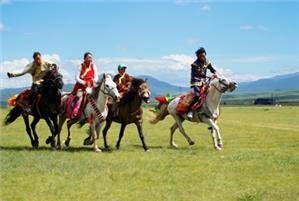 See more about Top Things To Do in Inner Mongolia. 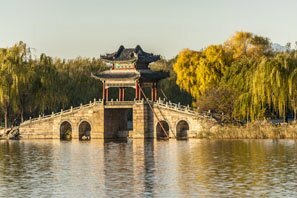 Our tours are typically custom-made — tell us your interests and requirements and we will help you to tailor-make an Inner Mongolia tour.